Why the world needs our individual unique gifts, now more than ever. 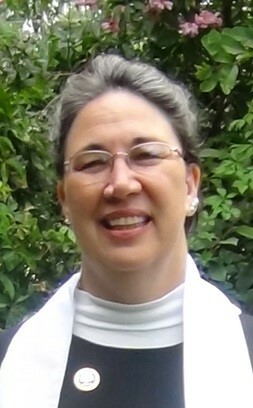 Reverend Elizabeth Teal is the executive director of Giving Paws. She is also … read more. A look at the meaning and message behind the myths and fables of the winter holy days. An interfaith approach to the magic and meaning of being … read more. A peek into the Art, Science, Spirituality and Essential Need of Joy. And why it is more important now, in these uncertain times to cultivate it. Reverend Elizabeth Teal … read more. Reverend Elizabeth Teal is an ordained interfaith minister, an animal behavior specialist and an artist. She is honored to be present in spiritual counseling, chaplaincy and in creating ceremonies and celebrations for one and all. She deeply believes in our healing connections … read more. She deeply believes in our healing … read more. A sermon for this season of births and rebirths, for #notallmen and #metoo. Reverend Liz Teal specializes in eco-theology, the human-animal bond, and all their healing aspects. She is the Spiritual Director for The Ministry of Animals and the Educational Director for Giving Paws, specializing in animal assisted therapies and chaplaincies. a sermon about the stuff that surrounds us and the stuff that fills our lives… We are a nation of hoarders – what are you hoarding? No, the Christian Bible does NOT say homosexuality is a sin, and why that’s important to us all. Do you know what Lughnasadh is? Do you even know how to pronounce it? As modern humans we are much removed from the rhythms of the Earth and out of tune with the Wheel of the Year ancient humans devised to keep time with the seasons. Modern adherents of Earth-Centered spiritual paths seek to bring their lives back as much as possible to their ‘roots’ and align themselves with the natural world around them. Learn the timeless insight and universal wisdom the Pagan holiday of Lughnasadh–Celebration of First Harvest–can teach to humans living in the modern world.